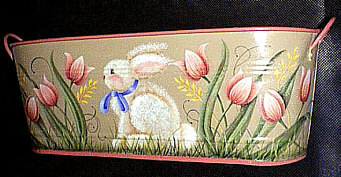 This delightful ,spring bunny in his tulip garden is easy to paint on nearly any surface. 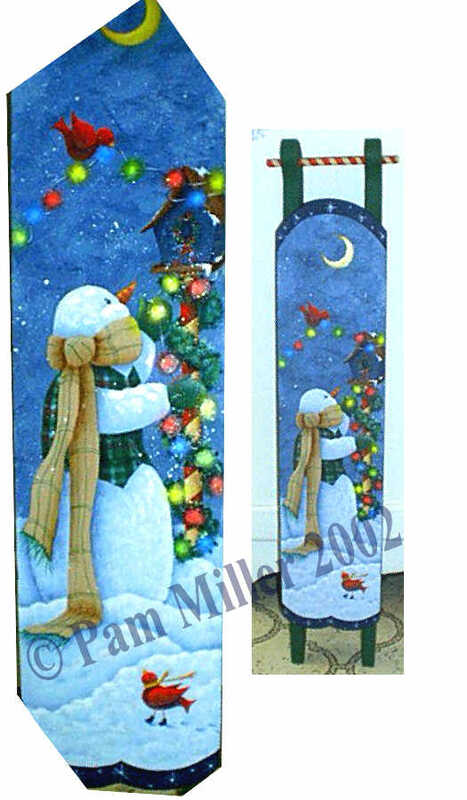 The size of the design is 16 3/4" long & 4 1/2" tall. 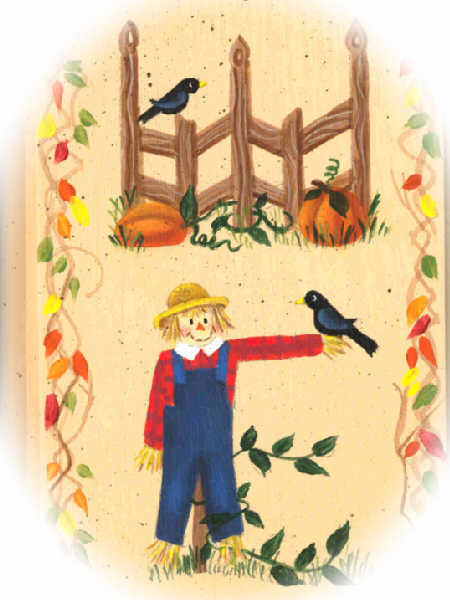 It would be adorable on a wooden or papier mache box, floorcloth,door crown, barrell stave, pail,welcome sign or plaque. 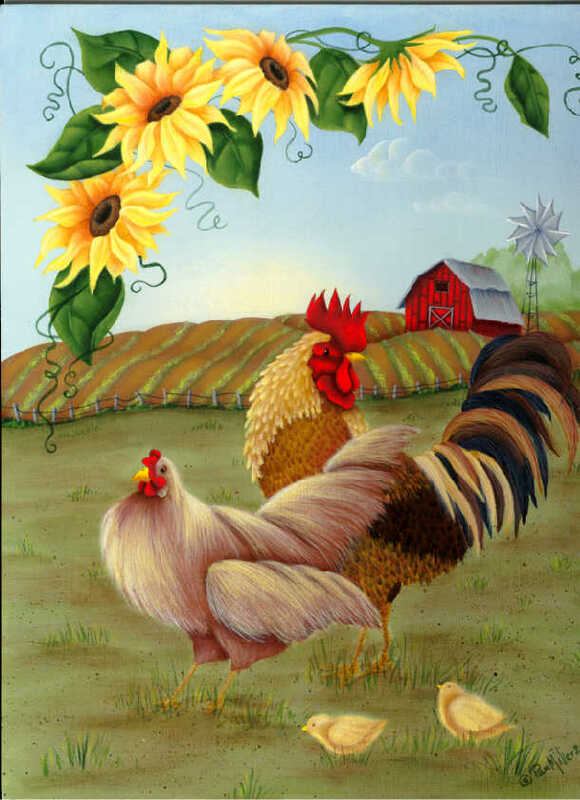 This Country scene is a must for any chicken, sunflower or farm collectors. The techniques used are fun and easy to paint but will impress everyone with the details and colors used! 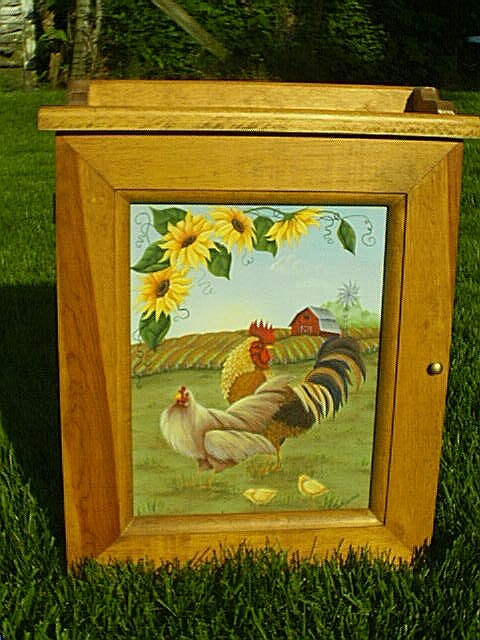 The design is painted on a wooden insert made for this cabinet. The design measures a tad over 8 1/2"x11". This pattern could be adapted to fit many shapes and surfaces. Email me with questions and orders. Thanks!!! 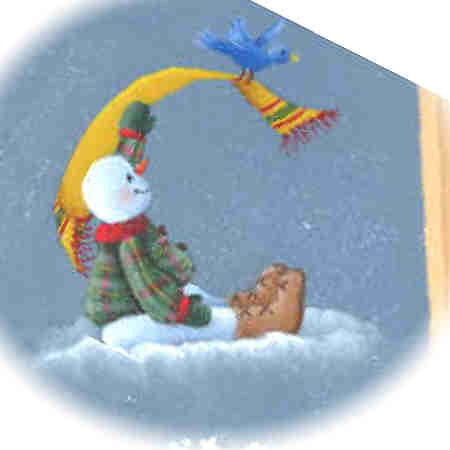 This sweet snowman is so fun to paint. Design is 18"x 4 1/2" -Adapts to many surfaces. and directions. $7 Email me to order. Cute and easy, antiqued welcome sign. 24"x4"
e-packet contains photos, detailed directions, and line drawing. Other inserts for this cabinet on pg 1, see Full Moon and Harvest Colors. I'm sorry to say I am no longer selling pattern packets due to the loss of a hard drive that had most of my info on it.